Exploring the status of groundwater in terms of its potentiality is of serious concern, owing to its vital use for domestic, agricultural, and industrial requirements all over the world. 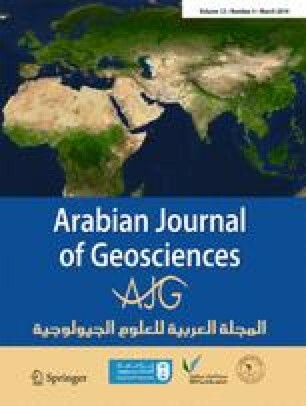 The aim of this paper is to assess the groundwater potentiality in Rasipuram taluk, Tamil Nadu, India by combining the geospatial techniques like geographical information system (GIS) and remote sensing (RS). The groundwater potential zones are delineated by integrating the factors such as geology, drainage density, geomorphology, lineament density, land use/land cover, and slope. The layer weight for six factors governing groundwater recharge potential and class weight for each factor are assigned based on their characteristics and relative importance with groundwater. A groundwater potential zonation map is obtained after integration through weighted index overlay analysis (WIOA) in GIS domain and is divided into four categories, viz., good, moderate, poor, and very poor zones. The study depicts 26%, 17%, and 27% of the total study area comes under moderate, poor, and very poor groundwater potential zones, respectively, while good groundwater potential zone cover 30% of the total study area. The results indicate that the most convincing groundwater potential zones are located in the western region of the study area which has relatively plain topography.